Joshua Byabashaija leads the Corporate and Commercial practice at ABMAK. Joshua performs a key role on all transactions handled by the Firm and provides continued support to all departments, which service clients in the varied niche sectors of: Mining and Metals, Oil and Gas, Power and Electricity, Tax and Revenue, Construction and Infrastruc­ture, and Project and Corporate Finance. His practice involves conducting corporate due-diligence, advising on country entry strategy. corporate structuring, re-organisations and corporate governance. 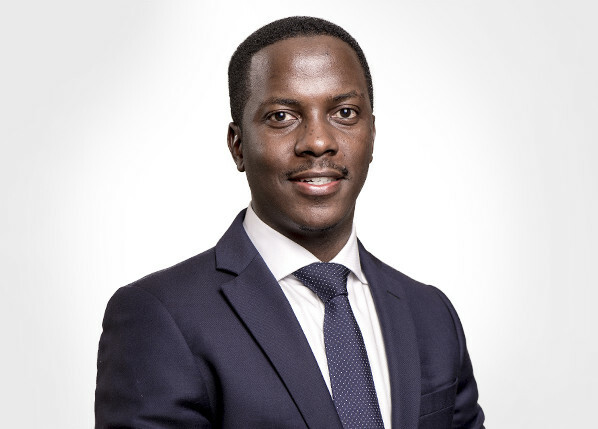 Joshua is also an astute litigation practitioner and has been involved in several ground breaking litigation in the natural resources sector in Uganda. He has expertise in handling land transactions and conveyancing having advised on complex surface rights acquisition and resettlement programs for the Firm's clientele. Joshua is also keen on intellectual property and telecom practice. Joshua is credited for his strong interpersonal skills, which has enabled him build a large network of strategic relationships both in the private sector and in the various government regulators. However; his biggest strength remains a keen eye for detail when handling transactions, large and small. Mr. Byabashaija is a holder of a Bachelor of Laws Degree (Honours) from Makerere University, a Post Graduate Diploma in Legal Practice from the Law Development Center and a Diploma in Revenue law and Tax Administration from the East African School of Taxation. He has also attained a Postgraduate Diploma in Public Financial Management from the University of London. He is currently a candidate for an MBA at the Edinburgh Business School, Heriot-Watt University. Joshua is an Advocate of the High Court of Uganda and a Member of the Uganda Law Society and the East African Law Society.